More and more business owners and managers understand the benefits of using a CRM solution to keep track of their current and potential customers. Such software enables anyone in the company to have access to the most actual information about all contacts, even if they've never met those people in person. Moreover, by analyzing the aggregated data, sales and marketing managers can assess the potential of their prospects quite accurately, with the purpose of knowing where to direct most part of their budgets. But, it's necessary to stay on top of merging accounts in Salesforce to make this possible. This is what all profitable companies do, as this is one of the best methods of segmenting their clients according to their business potential. However, there are a few caveats you need to be aware of when using a CRM system, whatever it may be. It is possible that the members of your sales teams meet the same prospect and enter him in the database without performing a search before taking this action. They might choose a slightly different name for the contact. The result is a duplicate in your database. You are going to have some information under one of the accounts and possibly other information under the other account. This situation is going to generate a few problems. First of all, when you are going to search for this customer, you are going to see one of the results with its associated information. All things that belong to the other accounts aren't going to appear, so you won't have any idea they existed. Another problem is that you are going to believe you have more contacts than you really do. This is going to determine you to inflate your budgets in an artificial way, thus leading to a decrease of your actual profit. You can avoid such situations by performing an ongoing maintenance of your database. Whenever you notice such duplicates, you have to consider merging accounts in Salesforce, with the purpose of ending up with one single record for each customer or prospect you have. This operation enables you to maintain the accuracy of you database, with multiple implications for your customer relationships. All members of your team who use the system are going to have access to the latest information about all contacts, thus avoiding various mistakes and odd situations that may occur as a consequence of ignoring some essential data. 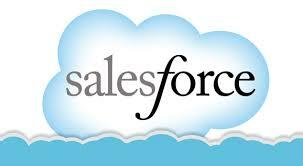 Merging accounts in Salesforce is an easy and straightforward operation. It can be performed by any user with administrator rights, by the owner of the account and by all users who are hierarchically superior to the account owner. Before performing it, it's best to make sure you understand exactly how various properties of the original accounts are transferred to the final one, so that you can control what information gets displayed after the merge. You should be aware of the fact that although hidden fields aren't displayed during the merge, the information they contain is transferred to the resulting account. This is why it's best to select the fields you want to keep and discard useless ones.